Mannequin Records – Monuments LP, Tommy De Chirico EP, Musumeci LP out on October – Chain D.L.K. Mannequin Records is elated to present a reissue trilogy dedicated to the Italian New Wave scene from the 80’s. The focus here is exclusively on the city of Turin, which we love to imagine as the Italian Sheffield. Quoting what Fred Ventura wrote for introducing Danza Meccanica in 2009, “towards the end of the 70’s, we felt isolated and a bit like heroes, swathed in our grey raincoats adorned with badge, pleasurably giving in to the constant bombardment of new sounds sculpted on vinyl. Isolated and rather unique in the communicative desert of an Italian underground scene that had no hope of emerging. Now more than thirty years after the first, timid experiments by a multitude of people who were paying close attention to what was happening in Europe and the Unites States, dozens of tracks are finally seeing the light of the day again, a scene that used the sounds coming out of English labels like Factory, 4AD and Mute as a reference point. The grey and misty atmospheres of a still-divided Berlin and those of Manchester, which along with Sheffield produced sounds destined to inspire future generations of musicians and producers”. We are pleased to present a crown jewel of the early 80s Italian Minimal Synth scene. The MONUMENTS came into being in January 1981 in Turin when Mauro Tavella (keyboards, programming) and Andrea Costa (keyboards, voice) pooled their artistic experiences. From the outset they produced exclusively synthesised music, following the natural evolution in electronic music from the early days with monophonic synthesisers to the latest virtual sounds generated with the aid of computers. 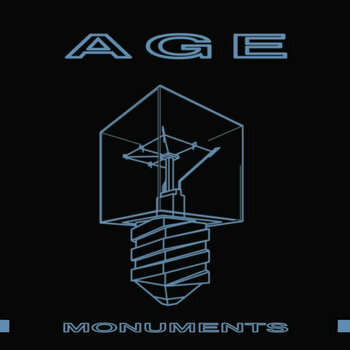 The MONUMENTS released in 1984 their only official record on Discordie, a mini LP called “Age” comprising six incredibly fantastic electro-pop tracks, here reissued by Mannequin Records with 2 bonus tracks, “Veiled Lady” and “The Seals”, which are out-takes from the same period. All the tracks were recorded on a Tascam 8-tracks, with external synchronisation of the percussions, at the TKS Studio in Torino. From 1987 onwards, they focused exclusively on music for theatre, radio and independent film, writing scores for the opening sequences of programmes for some of the most important Italian TV companies as well as soundtracks for documentaries. Anna Logue Records released “XXVII” CD in 2009, an anthology of their music that contains the best of their early work from the years 1981-84. Some critics thought of this mini LP as being the best electropop record ever coming out of Italy. A masterpiece! Strongly recommended to fans of New Order, Kraftwerk, Chromagain, Lisfrank. Mannequin Records is proud to present a true pearl of the Italian Minimal Synth from the 80’s. 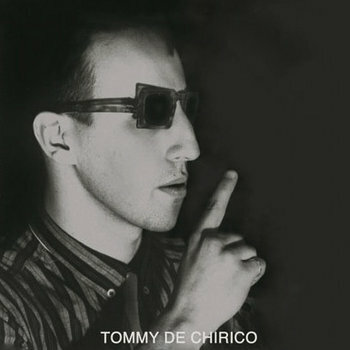 Tommy De Chirico founded the post-punk band Politburo in Turin during 1981 togheter with Maurizio Rubinetti (Sick Rose) and Massimo Aluffi (Ivan Siberia). On his own, he released the 7″ “Close Your Eyes / Flower Into The Factory”, produced and recorded at TKS Studio by the Monuments’ Mauro Tavella between 1982 and 1983 and subsequently released by Turin’s Shirak Records in 1984. When Politburo split in 1986, Tommy continued to experiment with various projects and sounds, including Thugs, Quiet (with members of Monuments and Deafear), Noxeda and Lacrimal, with whom he still plays today. Presented here are also 3 bonus demo tracks: a rare version of “Close Your Eyes”, and 2 out-takes from 1983, “Vuh-Ya” and “Tuxedo Dance”. The original graphic cover was realized by Bruno Zanichelli aka Pennarex, an underground artist from Turin, who died prematurely some years after. Strongly recommended to fans of Martin Dupont, Oppenheimer Analysis, Das Kabinette, Victrola, Neon. Mannequin Records is proud to present one of the most rare and unknown Italian Minimal Synth bands from the 80’s. Musumeci were formed in Turin at the beginning of 1985, from an idea of Mauro M. (synthesizers – ex guitar player of Rude Pravo) and Franco G. (programming – ex noise maker of Errata-S-Corrige). The group was founded as a link and expression of various experiences, aimed, at least initially, to highlight the individual personalities of the members. The formation settles after six months of testing with the final entry of Laura G. (ex-keyboardist of Rude Pravo) and Paul C. (voice of K Position). Musumeci were playing several shows, preceded by long monologues in which find space rumorism, electrical scans, voices, screams, etc. 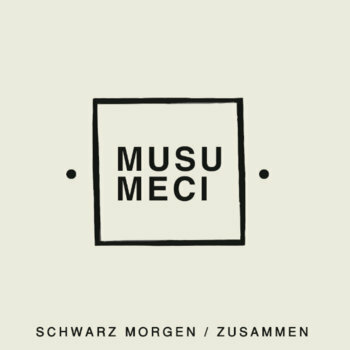 Presented here are the two super rare demo tapes that Musumeci recorded in 1985 (“Schwarz Morgen”) and in 1986 (“Zusammen”), on their own label Zeltweg. Strongly recommended to fans of D.A.F., Severed Heads, Liaisons Dangereuses, Single Gun Theory.